The hatch does have a prop-up bar for ease of use. 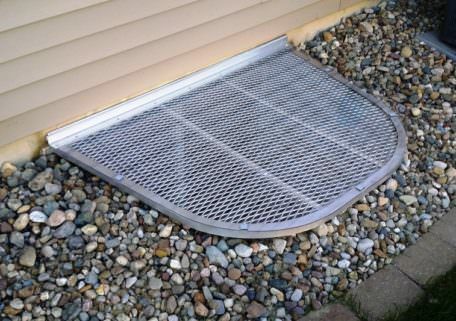 The placement of the hatch is determined by the placement of your escape ladder and/or the way your window opens. 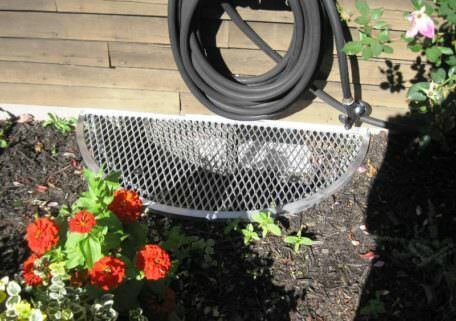 On metal window wells, an escape hatch is usually unnecessary, as the grates are light enough to push aside. 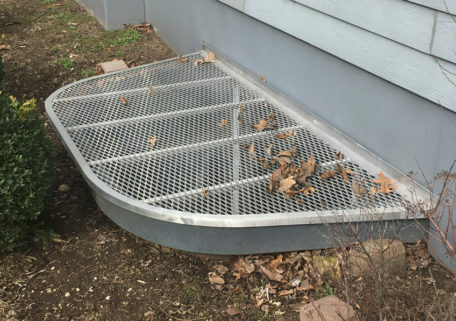 We make the grates to your well size, so if your well is a non standard size or misshapen, we can accommodate you easily. 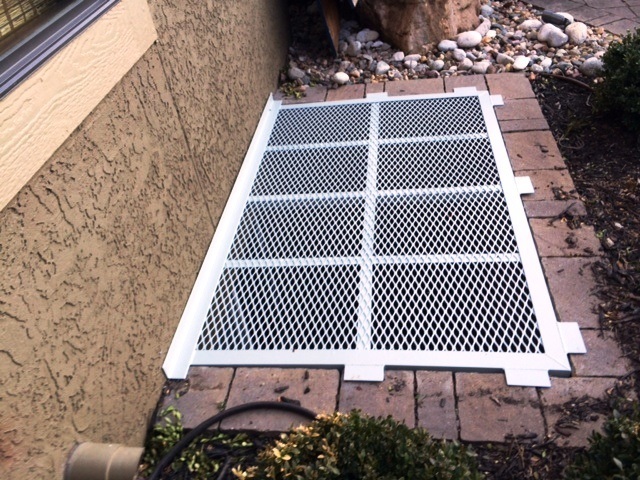 Contact us at 1-888-650-WELL to learn more about our window well grates.